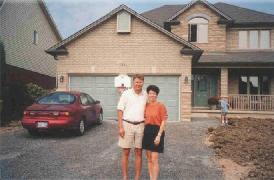 Rick and I would like to extend our thanks to you for your superb effort in the sale of our home this past summer. We were especially pleased with your professionalism, sound advice and prompt follow-up on all matters pertaining to our sale. We are both employed as sales representatives, and thus, realize the importance of providing superior customer service. You have certainly exceeded our expectations in this regard. We would be pleased to recommend you to any future clients who require a reliable, professional representative to service their real estate needs. Once again, many thanks for your excellent service.